Both my son and I, and also Sandra, who is part of our review team, had a chance to review this beautiful book. It's a moving, gentle story of one refugee's experience in the Syrian civil war. Sami, the Syrian skyline is full of smoke. The boy follows his family and all his neighbours in a long line, as they trudge through the sands and hills to escape the bombs that have destroyed their homes. But all Sami can think of is his pet pigeons―will they escape too? When they reach a refugee camp and are safe at last, everyone settles into the tent city. But though the children start to play and go to school again, Sami can’t join in. When he is given paper and paint, all he can do is smear his painting with black. He can’t forget his birds and what his family has left behind. A gentle yet moving story of refugees of the Syrian civil war, My Beautiful Birds illuminates the ongoing crisis as it affects its children. It shows the reality of the refugee camps, where people attempt to pick up their lives and carry on. And it reveals the hope of generations of people as they struggle to redefine home. 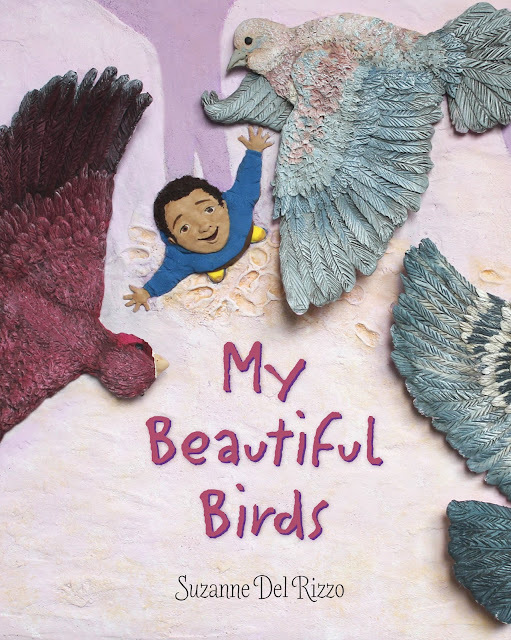 My Beautiful Birds is a touching story about a Syrian boy who flees with his family from his burning city to trek to a refugee camp. Sami is a bird lover and he keeps pigeons, but he is now worried as he leaves all he ever knew and loved behind. His father assures him that his birds have escaped too. My Beautiful Birds is an important book, written and illustrated by Suzanne Del Rizzo when she was motivated by her research for resources to explain the Syrian Cival War to her own children. It's a story that any child who loves animals can understand. Sami misses his birds and is saddened by what has happened even as his family adjusts to refugee life if the city-like camp. He finally begins the healing process when four birds appear and Sami begins to take care of them. My son and I both loved this story and the dimensional illustrations that the author created through Plasticine, polymer clay and other mixed media. The birds especially are so detailed, they come alive and seem to pop out of the pages. Every page was a delight to explore. Truly a work of art. Children (and adults) of all ages will appreciate these illustrations. Although this is a story about war, it is hopeful and uplifting. It helps young ones to understand what is happening in our world and how we all have the same needs. A variety of emotions are explored in this book: sadness, fear, anger, hope and compassion. It's a book that can open up dialogue between parent and child. My Beautiful Birds should be included in all school libraries. It's a keeper in our home. And has made it on our list of Best Reads of 2017. My heart was so touched by this poignant story of Sami, a little Syrian boy who must leave his home and his beloved pigeons to flee to a refugee camp. Though camp life becomes a "new normal" for the refugees, Sami only begins to heal emotionally when 4 birds – a canary, a dove, a rose finch, and a pigeon arrive in the camp. His feelings of sadness, fear, displacement are gradually replaced with a feeling of security and safety. 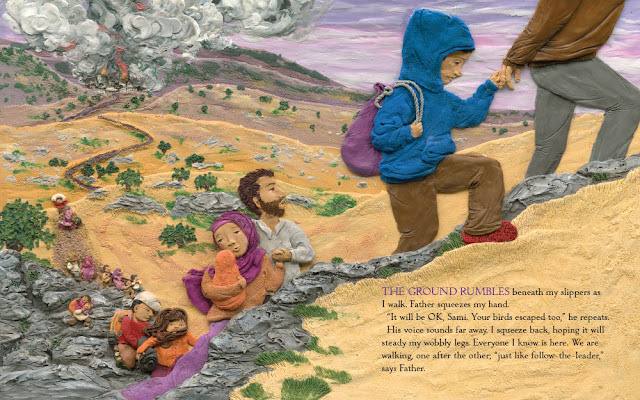 The textured illustrations in the book are beautiful, original artwork created with polymer clay, Plasticine, and other media, producing an almost 3-D effect to my eye. My favourite illustration is the overview of the refugee camp. Millions of people have been displaced, including children. Millions are still in refugee camps. At the present time its Syrian refugees that we hear about in the media. This book sheds light on their plight, their ongoing battles to cope and how war affects children. It's a gentle, moving book that parents can use to help their own children to understand the world in which they live. This talented Canadian author has produced a sensitive, moving account of what life is like in traumatic, emotionally-wrenching events experienced by so many people. I highly recommend My Beautiful Birds. Our disclaimer: Thanks to the publisher for sending us this book for review. We were not compensated in any other way, nor told how to rate or review this product. 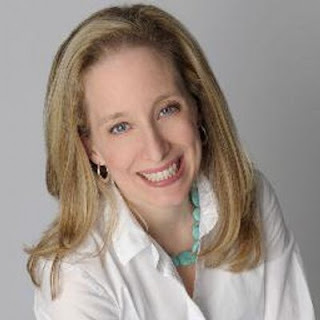 Suzanne Del Rizzo began her career in picture books as the illustrator of the award-winning Skink on the Brink. 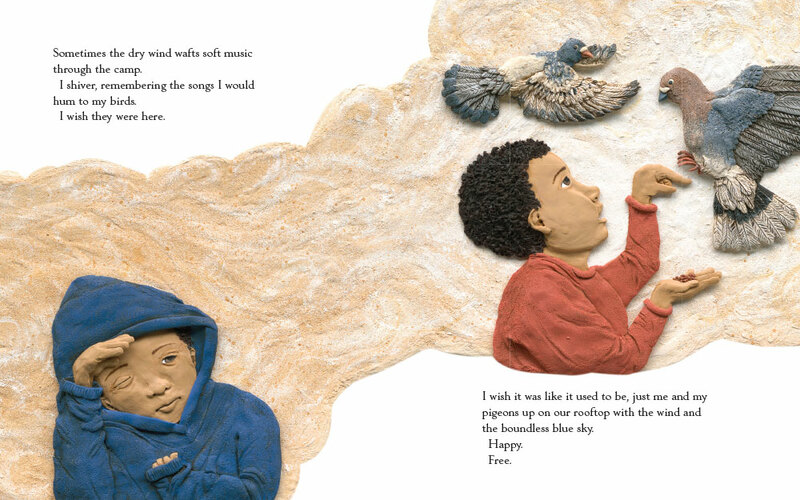 With My Beautiful Birds, she launches herself as both author and illustrator for the first time. Suzanne’s dimensional illustrations use Plasticine, polymer clay, and other mixed media to bring rich texture and imagination to her books, the most recent of which was Sky Pig. She lives in Oakville, Ontario. This sounds a bit heart wrenching. Nice way to share a painful story and give some understanding and hope. Thanks for sharing this. It's told in a gentle way but addresses the issues in a way children can understand.